UP Fitness studios offer a variety of workouts that leave you feeling uplifted, empowered and ready to take on whatever life can throw at you. We truly believe that fitness should be fun, smart and enjoyable! You have Unlimited Potential to succeed whatever your goals or starting fitness level and our unique mix of programmes will help get you there! I’m new to UP Fitness, how do I book into my first class? We are so excited to meet you! Our classes are small and friendly and spaces are limited so bookings are essential! 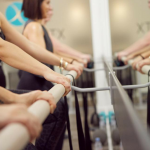 We prefer all class bookings to be completed online – Just click on the timetable of the studio you’d like to attend and select your class. You’ll need to purchase your first class, intro offer, class pack or membership online in order to book into classes. Online payment methods available include credit card or direct debit and we do have eftpos in studio to top up your class packs should you prefer. Will I be ok if I am a beginner or am unfit? We offer modifications throughout our classes so that beginners can feel as comfortable as a seasoned regular. If you truly believe that you have two left feet or may be nursing a chronic injury, we recommend starting out with the “UPlift” class options. Look out for our regular “Beginner” workshop series, an excellent way to be introduced to UP. We recommend a T-shirt/singlet and tights/gym shorts for all classes. If participating in MELT, Pilates or Restorative classes, you may choose to bring a warmer layer to stay at optimal body temperature. Please bring a water bottle (we have water filters in studio for top ups) and a towel if you plan on getting sweaty. *For all AntiGravity Fitness classes, a T-shirt (a top with sleeves) must be worn for hygiene and personal comfort. Please do not wear clothing with zips or buttons that could snag the hammocks and ALL jewellery and hair accessories must be removed before jumping into a hammock. Grip socks must be worn for all classes. Don’t own a pair? We have plenty of grip socks available for purchase from studio reception. Grip socks are compulsory for hygiene and safety reasons. Many of our workouts require a good grip on the floor to enable you to recruit the correct muscles when standing. Do I need to bring my own mat/equipment? We’ve got your back! Mats and equipment are supplied by us at no additional charge to you. I am pregnant/have recently had a baby. Can I participate in classes? Congratulations! It is Very Important that you notify your instructor when you know that you are pregnant. The majority of our classes are prenatal appropriate as we are able to offer modifications to keep you and your baby safe. We can tell you that we have had mummas-to-be working out with us the day before they gave birth! If you are keen to return to exercise postnatally, check out our ‘Babies on Board’ workshops held regularly at UP on Jackson and UP on Ebor in Central Wellington. This gives you a great opportunity to meet like-minded mums and take some well-earned time out for yourself while wearing your bub in a front pack. We recommend returning to exercise, 6-8 weeks post birth. Always a good idea to check with your doctor/midwife first! I’m new to the studio, how early should I arrive to my first class? We recommend that new members arrive at the studio 15 minutes before class start time so that any paperwork can be filled out. Your instructor will want to discuss any past/current injuries with you and will be able to offer modifications if necessary. I’m not a new member, what time should I arrive to class? Please arrive at least 5 minutes before your class start time. Due to safety concerns for you and in the best interests of your fellow class participants, we are unable to accept latecomers to class. If the class is waitlisted, your place may be passed on to a waitlisted client. Can I leave early from a class? 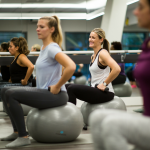 Our classes are specifically designed to give you a balanced workout and it is often the last 5 minutes of class that are the most important. If you anticipate that you will need to leave early, please let your instructor know before class starts. What is UP’s cancellation policy? To avoid late cancel fees, please cancel any bookings that you can’t make at least 4 hours ahead of schedule. Less than 4 hours will incur a $10 late cancel fee if you are on an unlimited membership or will result in a class lost if you are on a 5 or 10 class pack. Think of it as an important appointment with yourself! Do I need to book myself into a class or can I just show up? We know that life has its ups and downs and there will be times when an impromptu class appearance is in order. Please understand that this may mean that you are turned away if a class is fully booked. We also reserve the right to cancel a class if there are no bookings so recommend that you check our timetable online, or via our app before arriving to avoid disappointment. The only way is up! This completely depends on what your goals are! We obtain the best body adaptions (cardiovascular fitness, strength and flexibility) through consistency and recovery and so recommend attending at least 3 classes per week for a fast result. Not sure where to start? contact us for a private session and we will create an individual and balanced programme for your goals that utilises our UPlift, UPbeat and PowerUP classes. Can I txt or talk on the phone during class? Yikes! No! Phones are not permitted in the studio spaces. However, if you are ‘on call’ or anticipate a family emergency, you are permitted to have your phone near you on ‘silent’. Please notify your instructor before class starts if this is the case. If a class is fully booked, you can put yourself onto the Wait List. As people cancel or move class, you will be automatically added in the order you had signed up and notified via your chosen email address. It is assumed that if you are waitlisted that you can attend the class. If you are no longer able to attend, please remember to cancel yourself out of the waitlist. Is my membership series/class pack purchase transferable across all three studios in the Wellington region? Our Up Unlimited Membership can be used at both Wellington Studios giving you access to over 100 class options per week! Class packs and courses are limited to the studio they were purchased at. What amenities are available at the studios? Changing rooms, bathrooms, water filters and a ‘dry bar’ are supplied at all studios for a quick freshen UP post class. Our Ebor st location has 2 showers available for your convenience. BYO towel. Does UP fitness offer private sessions? Does UP fitness love to cross-promote with like-minded businesses? Does UP Fitness offer a new client introductory offer? Oh yes we do! Get 2 weeks unlimited classes $59. Your introductory offer can be shared across both studio locations, is valid for all classes on our timetable and grab a FREE pair of grip socks on us while you’re at it.